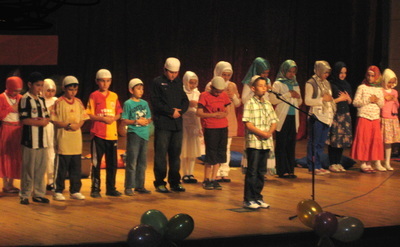 As part of a theater play, children line up behind the "imam" to pray after hearing the call to prayer. How do social movements seek to shape individuals’ subjectivities in order to bring about sociopolitical change? Research on social movements focuses mainly on street activism - demonstrations or protests - or on efforts to organize contention by mobilizing resources, taking advantage of opportunity structures, and tapping into cultural frames. What is less studied, however, is how social movements not only organize like-minded people but create like-minded people in the first place. 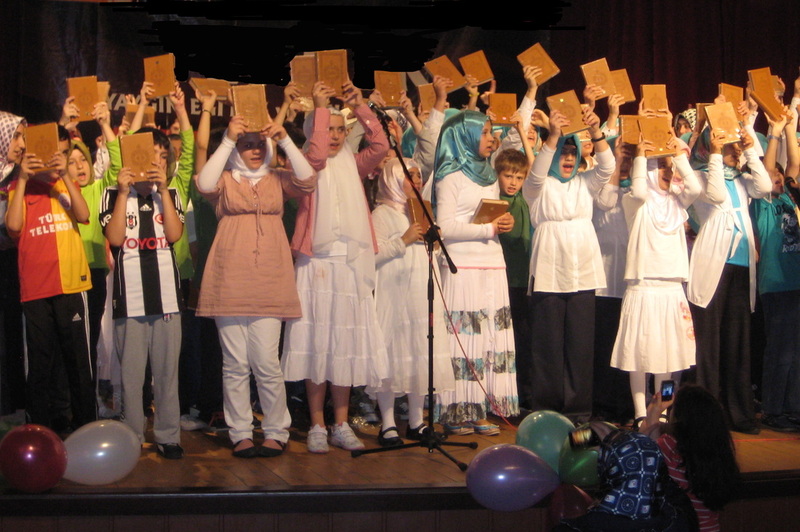 My book project, based on my dissertation, Schooling, Islamization, and Religious Mobilization in Turkey, seeks to understand how social movements utilize sites of pedagogy to cultivate new subjectivities and to accomplish larger sociopolitical change. It uses the experience of Turkey's Islamist movements as a window to explain this process. The project draws on 18 months of ethnographic and historical research between 2010-2012 when I worked as an English teacher in a religious high school in a peripheral neighborhood of Istanbul and conducted participant observation in a network of semi-formal and informal religious education sites. In addition, I conducted one hundred interviews with key local and national actors and archival research in two national libraries in Ankara. The book is organized in two parts. In the first part, I reconstruct the history of political contestations between religious and secular forces over Turkey’s religious institutions. I demonstrate that in an inhospitable secular environment, religious actors devised a dual strategy: they have worked within secular state institutions to increase their legitimacy, and at the same time operated outside of them to sustain their autonomy. 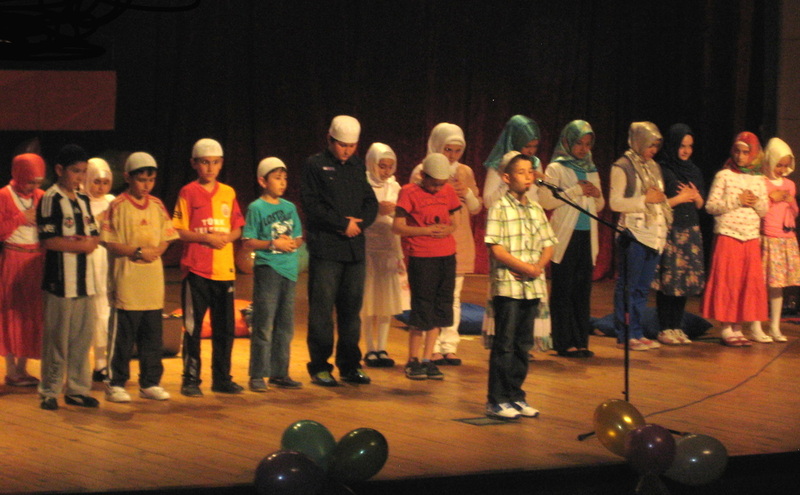 In the second part, I document through fine-grained ethnographic analysis how Islamists have mobilized a network of formal, semi-formal, and informal sites of religious socialization to strengthen private and public morality and to make Islamic orthodoxy an organizing principle of social and political life. Together these efforts have been critical to what I call the spread of “banal religion,” rendering of religious references and practices in everyday life normal, habitual, and pervasive.